Each year, we dedicate the month of August to the artworks created by the students from each of the classes in our Summer Art Programs here at Arts Visalia. The Young at Art exhibition is an exciting display of these young people’s talents, creativity, and hard work. Our Young at Art Exhibition will be featured in our gallery between August 1 and August 31, every Wednesday through Saturday between noon and 5:30 pm. An opening reception will be held the evening of Friday, August 3 between 6:00 pm and 8:00 pm. Admission is free and open to the public, so bring the whole family! 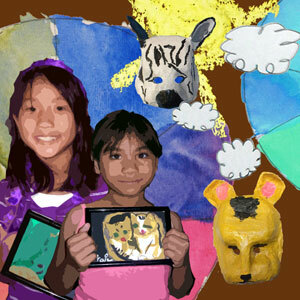 For more information on our summer art classes, visit our Children’s Classes page.